This piece originally appeared on Travel + Leisure. 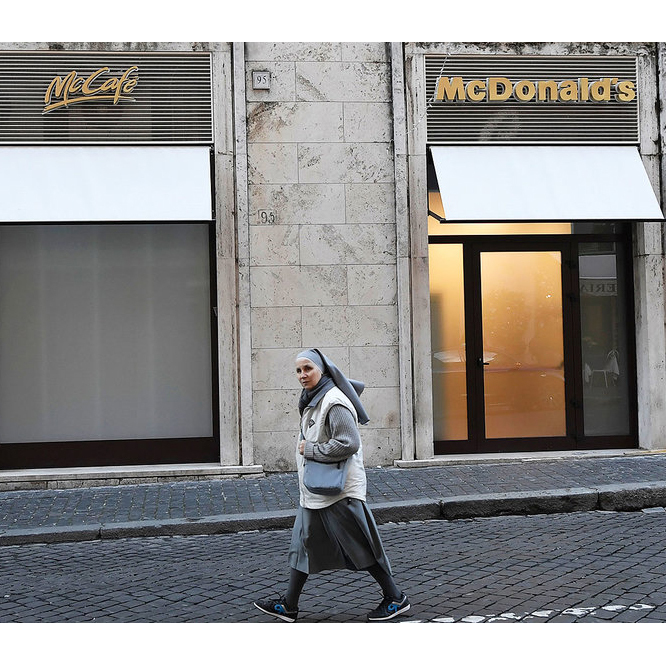 A McDonald's franchise opened outside the walls of the Vatican in Rome last week, despite pleas from religious leaders and locals alike. First announced in October, the fast-food restaurant drew criticism from those who said it was an affront to local culture. Manuel Tosti, a restaurateur who helps run his family’s business across the street from the McDonald’s, said the addition of the restaurant has already hurt his own operation. Despite the backlash, it was a Vatican agency that leased the space to McDonald’s, charging a reported 30,000 euros a month, or approximately $31,375.50. It’s not the first time that Italians have been ruffled by the arrival of a U.S. franchise. Coffee chain Starbucks announced its plans to open cafés in Italy in 2016, irking some coffee purists.